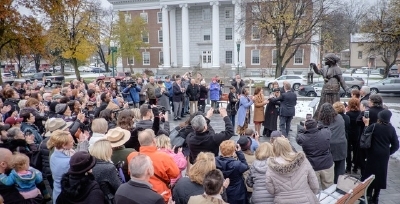 NEW YORK – November 13, 2018 – Governor Andrew M. Cuomo today announced the grand opening of the New York State Equal Rights Heritage Center in Auburn, Cayuga County. The Center serves to emphasize New York State's progressive history of promoting social and equal rights, celebrate New York's equal rights pioneers, and encourage tourism at the region's many attractions and destinations. The $10 million Center is funded and supported through the Governor's Central NY Rising Initiative, the region's comprehensive strategy to revitalize communities and grow the economy.